I'm April from Designs of Artisan. First of all, I'm so happy to be part of Let's Make Greeting Cards design team and I really hope I can inspire you with my tutorials. Anyway, I'm a graphic designer and a handmade lover. I normally mix my designs with crafts. I have been in love with anything to do with paper aside from invitations of course, but I'm mostly fond of making boxes, paper flowers, and pop-ups. Using the bone folder, fold the blank card into half. This will be your base for the greeting card. 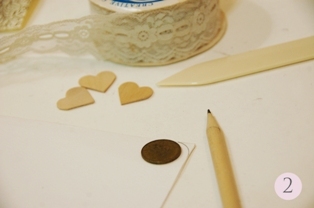 Then cut the corners of the card using a coin to guide the edges. Add the 4x4in cardstock paper in the middle part of the blank card. 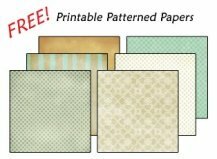 If you don't have a printed cardstock, you can use colored paper just to add color to your background. 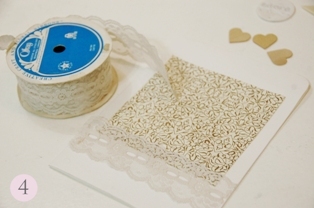 Cut and glue the upper part of the doily lace on top of the cardstock, leaving half of it glued to the blank card. Now we can add the embellishments! 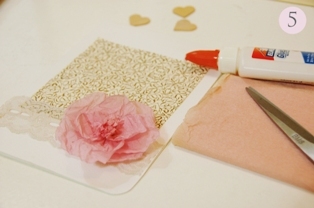 Use the tissue paper to make a paper flower, then glue on the lower right side of the card. 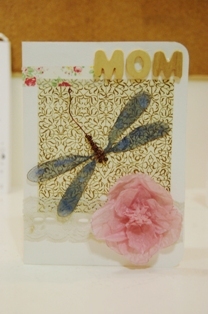 Then add a dragonfly embellishment in the middle part of the card. Make sure its facing downwards to the flower. 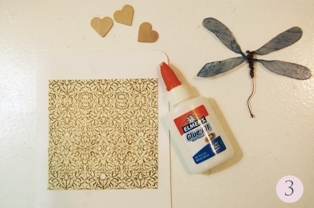 If you don't have a dragonfly, butterflies can also be an option. Finally I used wooden alphabets to spell the word "MOM" on the upper right of the card. 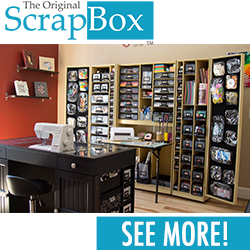 Washi tapes can be added as a finishing touch. Just make sure, the colors blend well together. 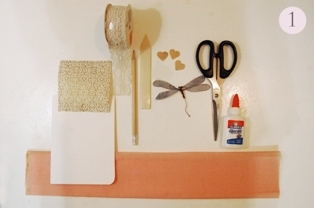 Tip: You can also add 2 more small paper flowers on the lower sides to emphasize it even more. And there you have it, a simple yet elegant mother's day card. I hope you had fun making it. 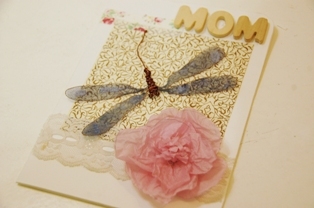 You might also want to take a look at our other homemade Mothers Day cards for more inspiration! Thanks for joining me today!